Working every day, doesn't leave much time for sewing, baking, reading or housework for that matter, and it will be the same next week too. This weekend, The Scout, celebrated a birthday, so being the nice wife I am, I made brown sugar cinnamon brioche for his birthday breakfast. They were certainly enjoyed by us all on Saturday morning. I have also started some Christmas sewing - a paper-pieced badger - this will be a cushion for my Dad, whom we have nicknamed The Badger. There are some misleading angles and some tiny pieces in this pattern, so needless to say there has been a lot of unpicking, however the full badger is now finished, and I am quite pleased with how he looks. Only a week left, before the school holidays start. I am looking forward to some lie-ins, baking, sewing and fun with Miss B and Mr J.
Woohoo - normal transmission has resumed. I have worked out how to get photos from my camera to the computer. So much quicker on this new computer too. Anyway what has been happening this weekend. 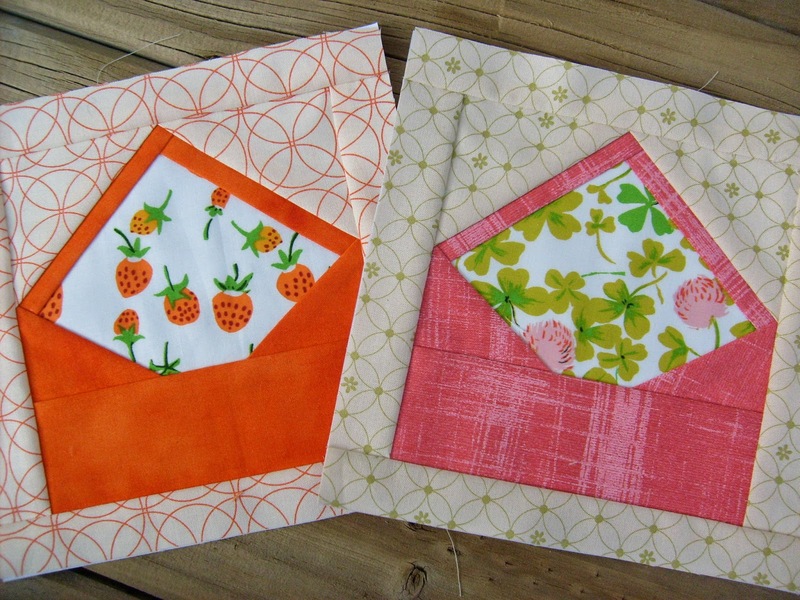 Sewing - no surprise there, however I have finished up all the envelopes required for my SWAK swap partners for the year. Just the little stamps to make now. I have also finished my other swap projects, they just need to be photographed and packaged, then they are ready for postage - separate posts to follow on those items. 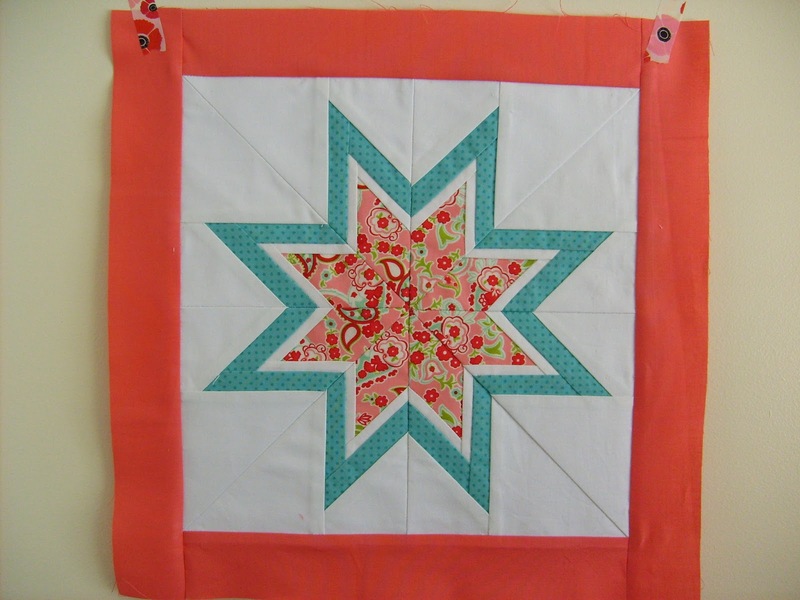 This will free up time for working on Mr J's quilt, and some important Chrisitmas sewing that must be done!!! In the garden - this year my celery is so plentiful and healthy looking. I am wondering if it is because we are having a much milder winter than usual. 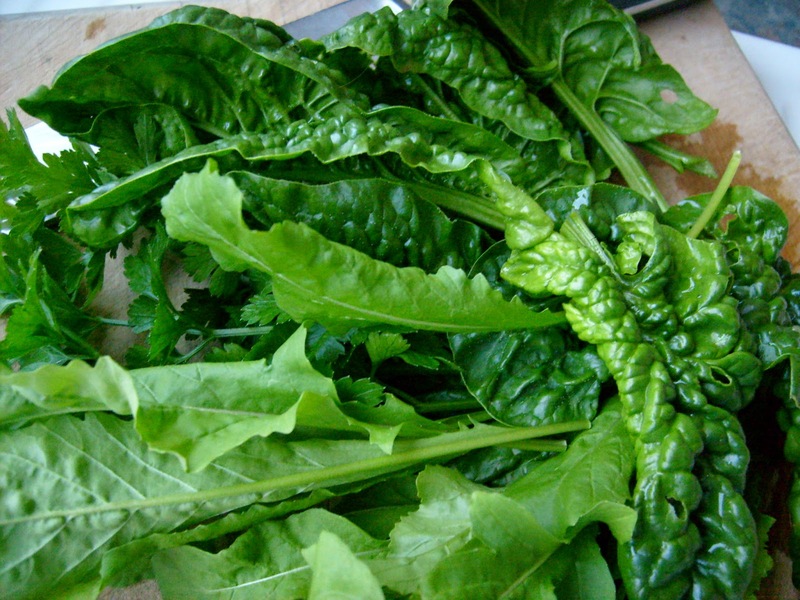 The same can not be said for my spinach, which has been pulled out, because it had turned into caterpillar city, which I guess, is the downside of a warmer winter. Loving the delicate flowers on my Jade plants - this one is especially lovely with it's bright golden leaves. My lovely pile of quilting books and a favourite magazine, which I have enjoyed browsing through while lazing in bed these past two mornings. Hoping you have all had a fabulous weekend. Well, I missed my weekending post, but really it wasn't very different from most of the others I do. 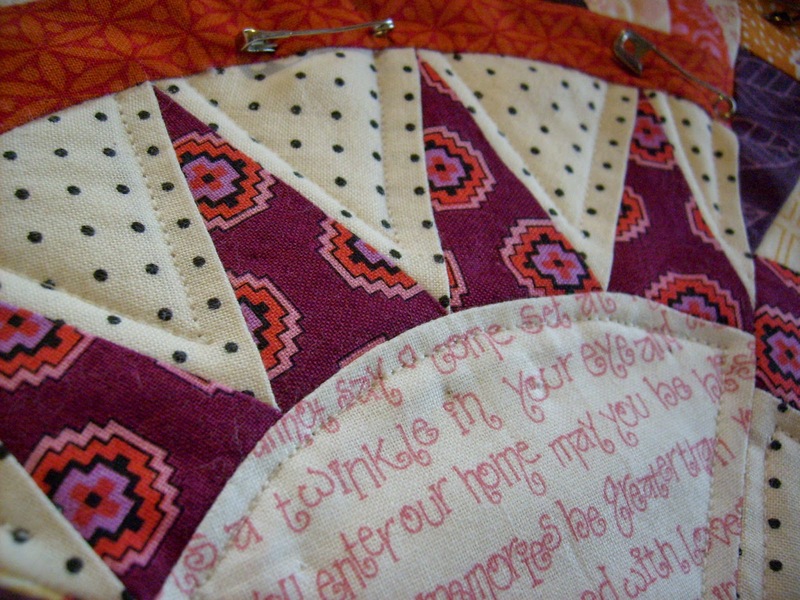 Reading, cooking and some sewing. 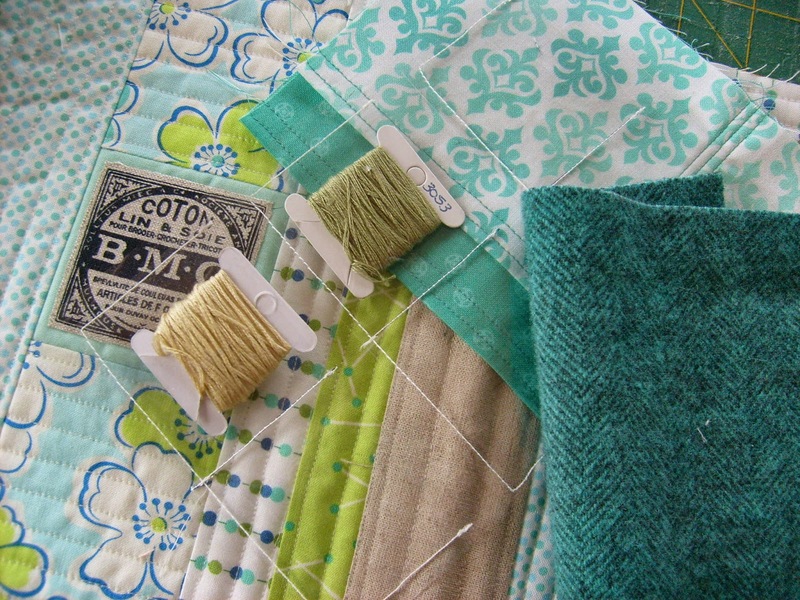 Attaching the binding to my New York Beauty mini quilt. A beautiful berry shot cotton was the perfect fabric for it. Today certainly has been filled with drama and stress though. The drama started at 8 am this morning, when I thought The Scout would be at work, I received a call from him to say that he had been involved in a car accident. Luckily he was not hurt, but still somewhat shaken. We are still awaiting the insurance assessment on what is going to happen to his vehicle. A return trip to Cambridge was had in rather horrible weather, to pick a spare car from his parents for him to use. Needless to say, we were glad to get home today. The stress is coming from the new computer we have installed. Trying to get it set up how we like, when neither The Scout or I are that technologically minded is somewhat challenging. I still have to work out how to get photos from my camera onto it, so if I am somewhat sporadic with blogging over the next couple of weeks you will know why. Anyway, I hope you all have a fabulous and safe week. 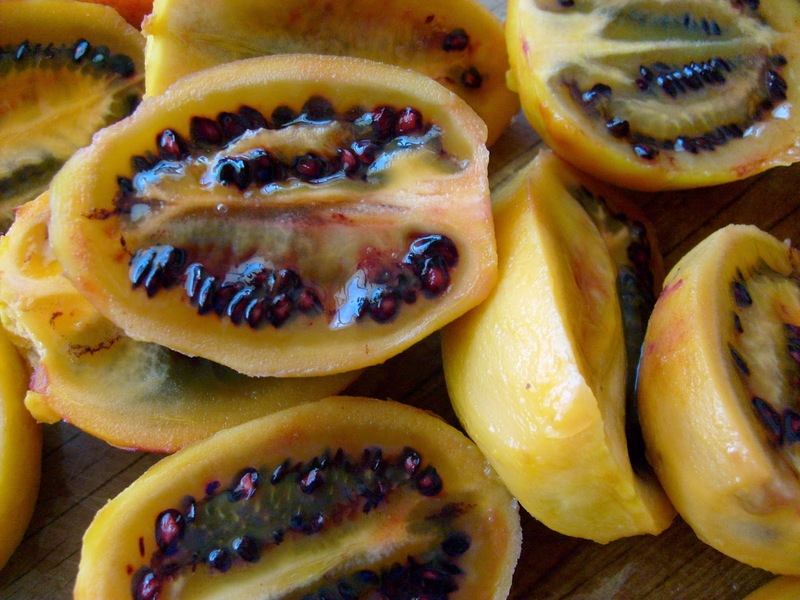 The other day I was given a huge bag filled with red and orange tamarillos. 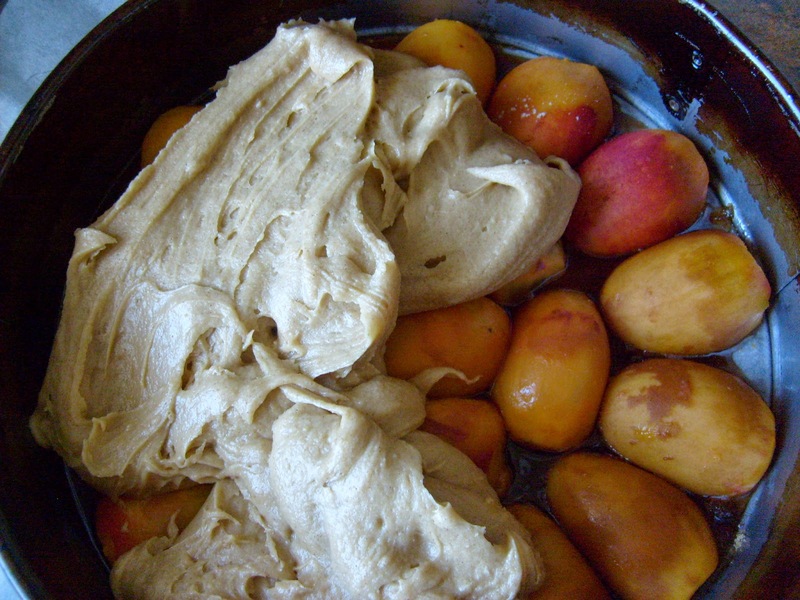 My children and I have been enjoying them raw, but we still aren't getting through them quickly enough. 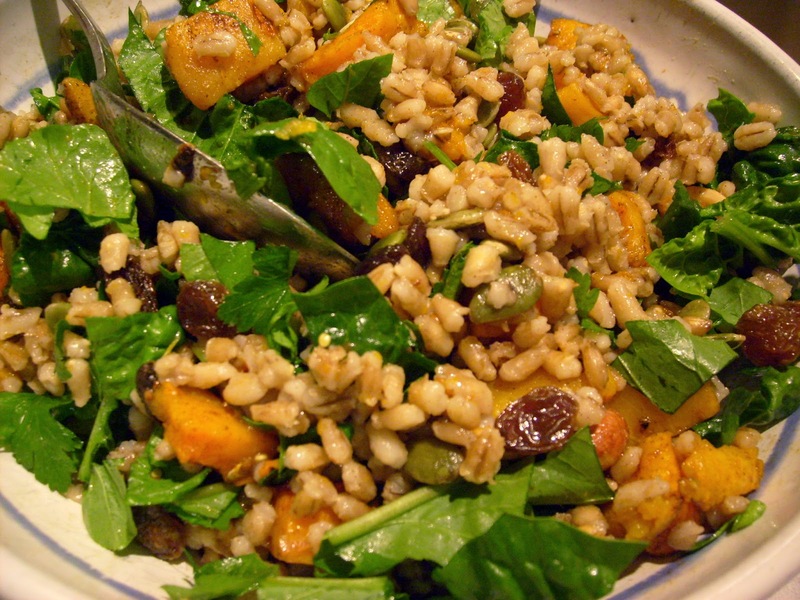 I came across this recipe in our newspaper and decided to give it a try. 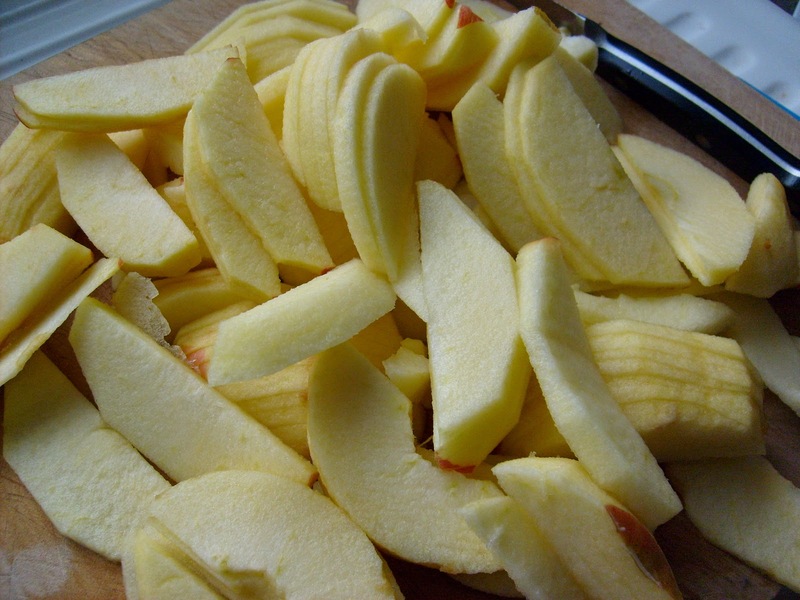 Probably the fiddliest part was skinning the tamarillos, the rest came together quickly. Mine cooked a little longer than the stated time. 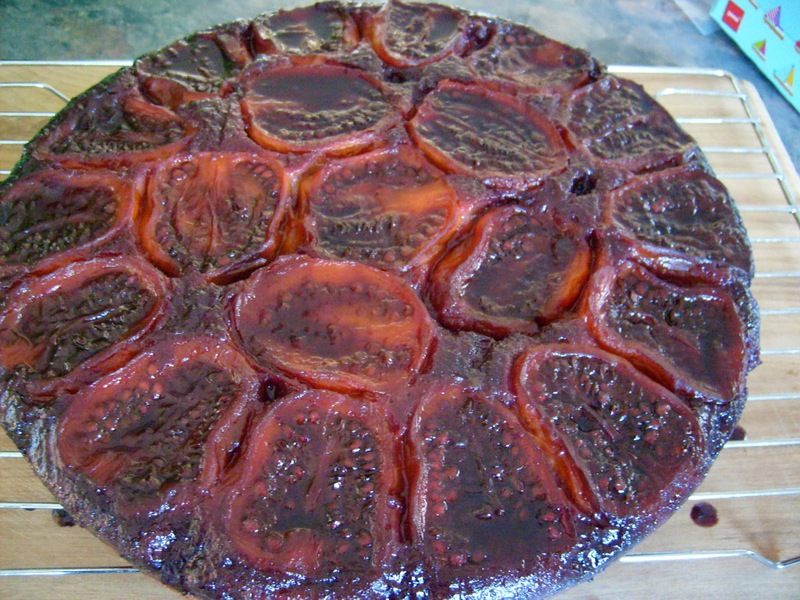 The finished result was quite impressive, (the first time I have had success with the fruit actually staying on an upside down cake), and it tasted pretty good too. 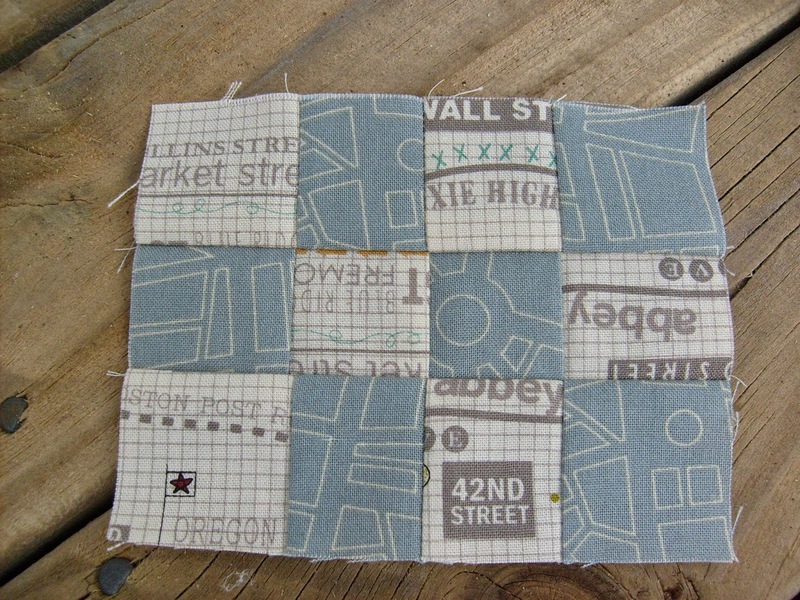 Having Mr J, home from school with a tummy bug for two days, meant that I have been able to start quilting my New York Beauty blocks for my Sew Sew Modern Swap partner. 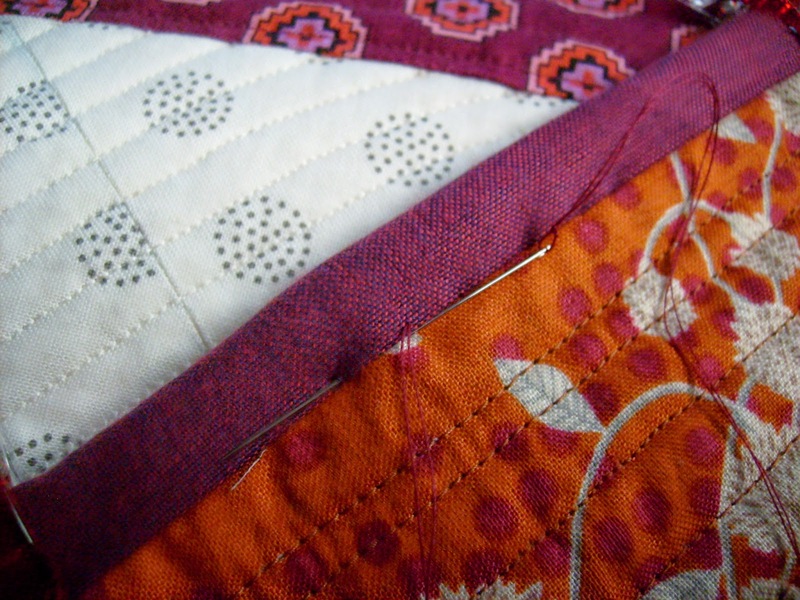 I couldn't decide on one style of quilting - straight lines or lines radiating from the centre for the whole piece, so instead have quilted each quarter individually. 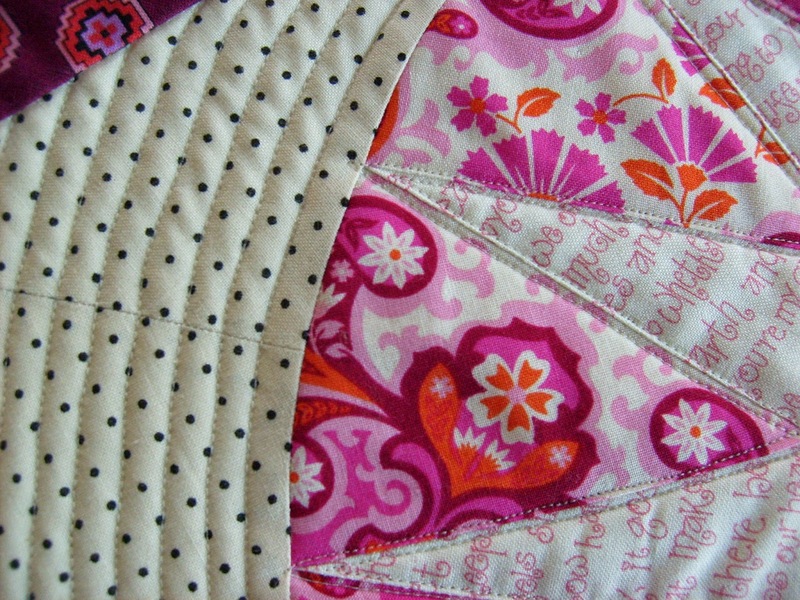 I love how quilting changes the look of an item and gives it so much texture. 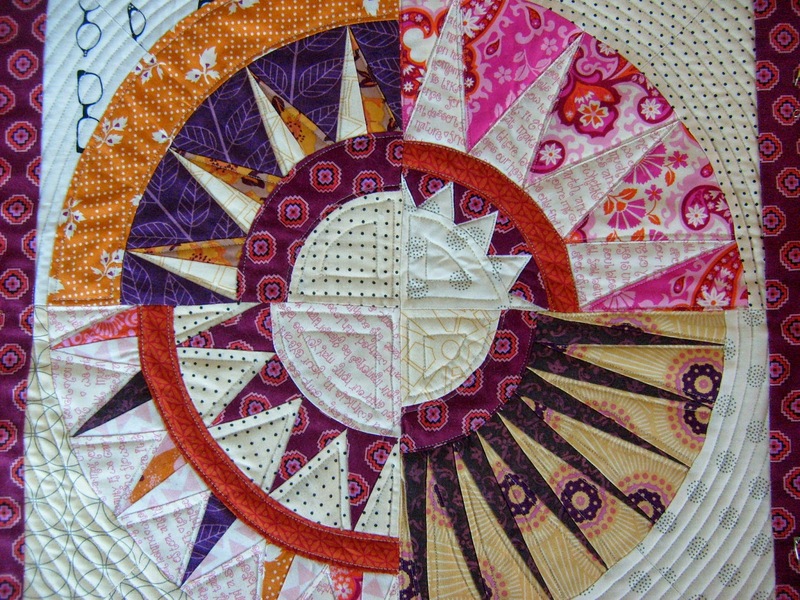 Just the dark border to quilt and then the binding to go on now. Not really a lot to show for what I did. 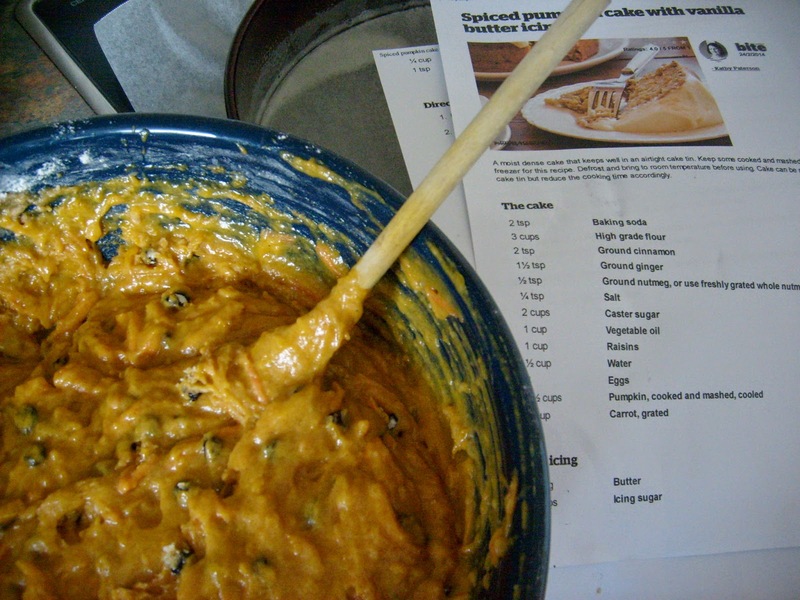 Baking a Spiced Pumpkin Cake to take to my sewing day in Hamilton, with Rachel and Deb. Needless to say, we didn't get any sewing done, we had a beautiful unintentionally pumpkin themed pot luck lunch, swapped some fabrics, talked lots and had a flying visit to Spotlight. 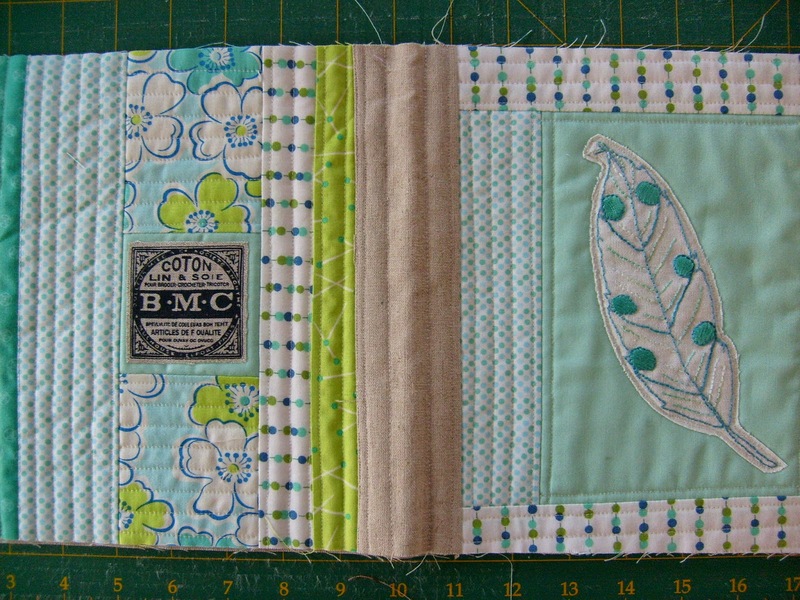 Hopefully I can make the next one in 2 months, when we hope to meet up at the Hamilton Craft Show. 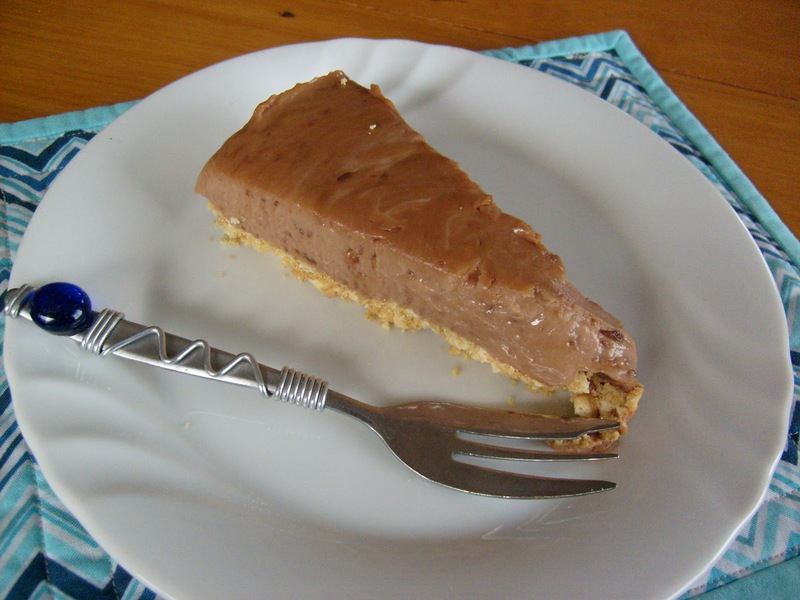 An utterly decadent dessert, made by the Scout - Caramello Cheesecake. 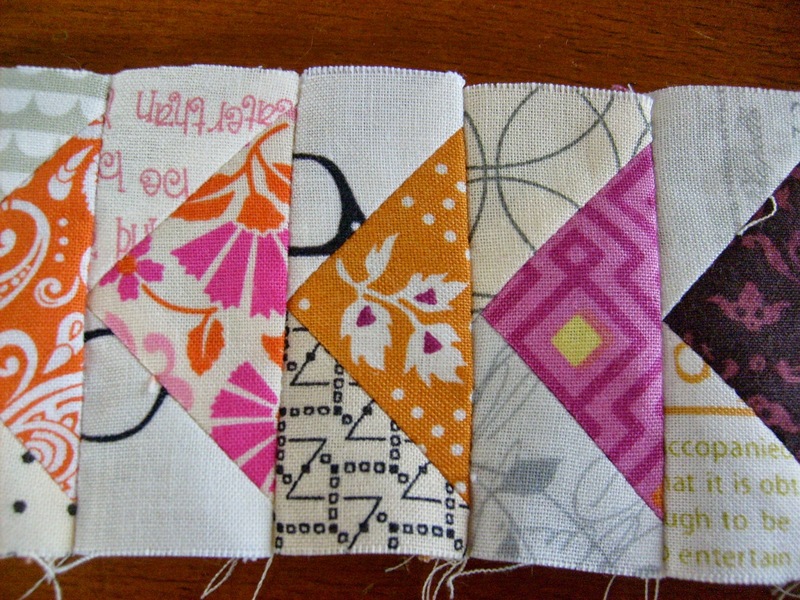 A little sewing for the Pack Patch QAL. Week 7's theme was City Mouse and Country mouse. Hoping you all had a great weekend too. If you had been thinking that things were a bit quiet on the sewing front, rest assured that lots has been going on - just secretly. 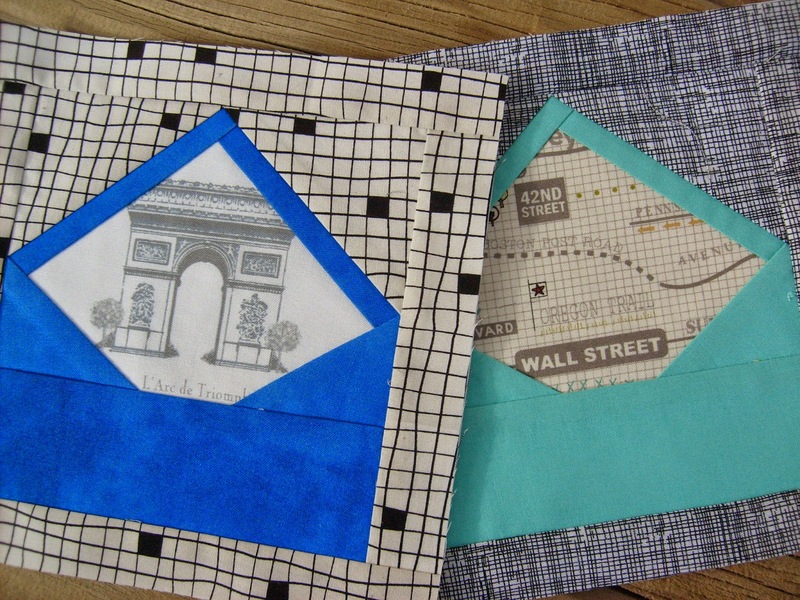 A couple of months ago, my sister Janine, and I decided to make each other a mini quilt for our sewing rooms. 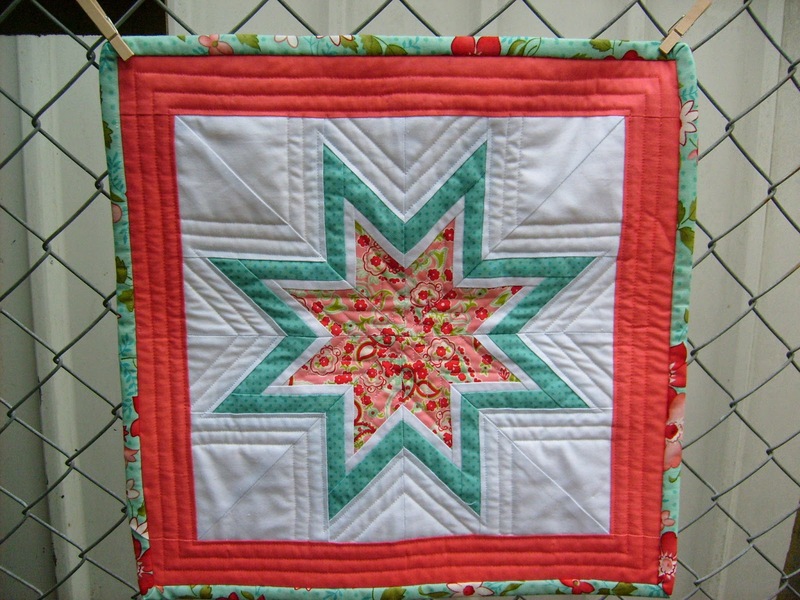 This week we finally received our quilts, so I can show what I made. I decided to do a mini Lone-Starburst for her. 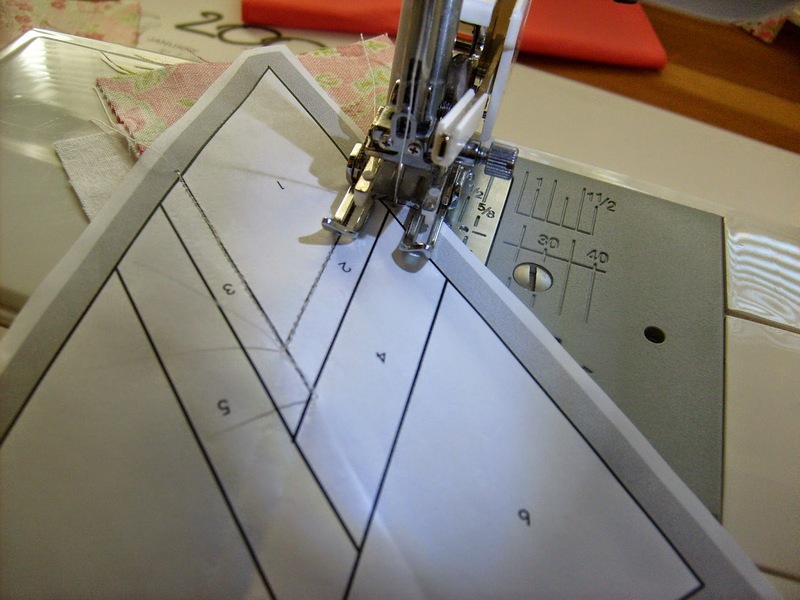 It is a paper-pieced pattern. 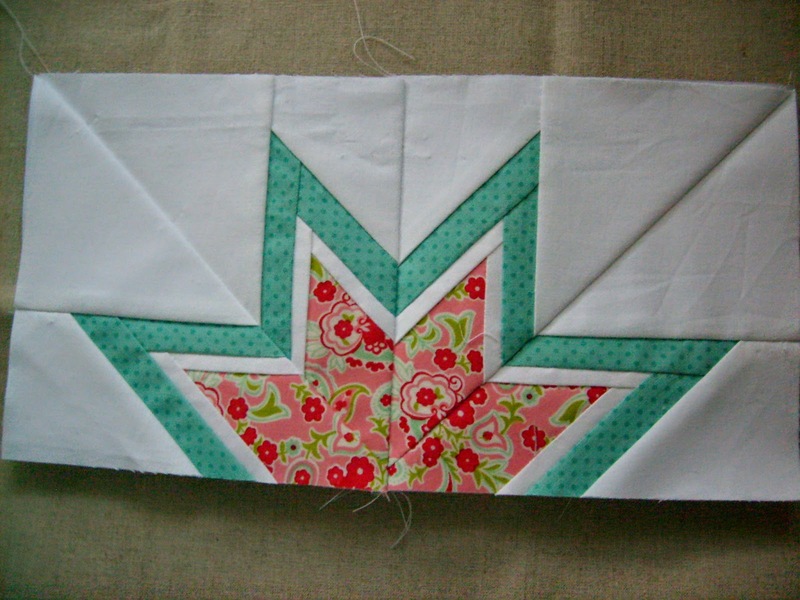 I made it using some fabrics from Bonnie & Camille's Scrumptious and Modern Vintage ranges and other co-ordinating solids. 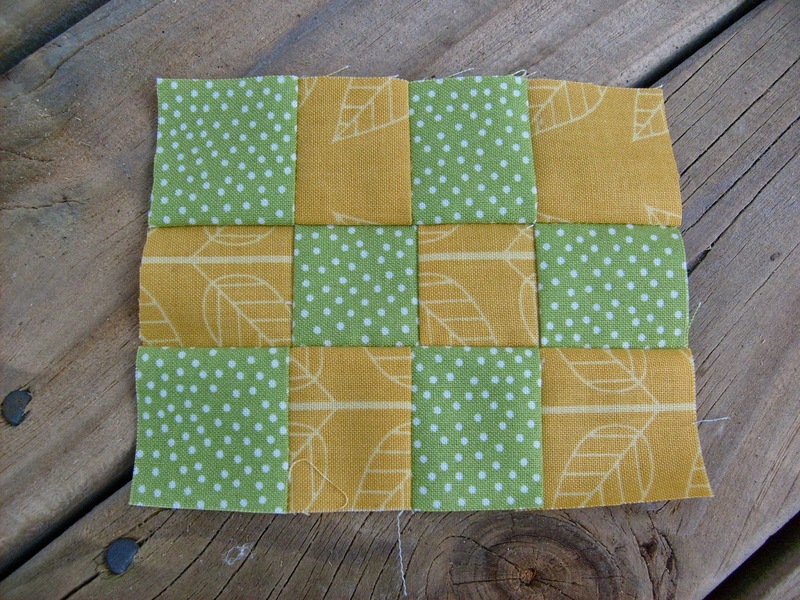 After adding a border and binding it ended up at abut 16" square. The beautiful package is what mine came in. 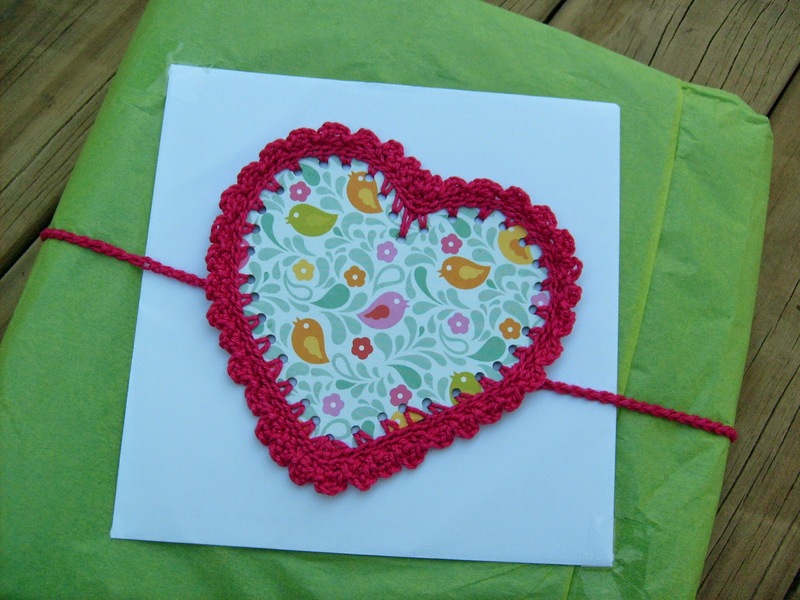 My sister made the decorative heart too. 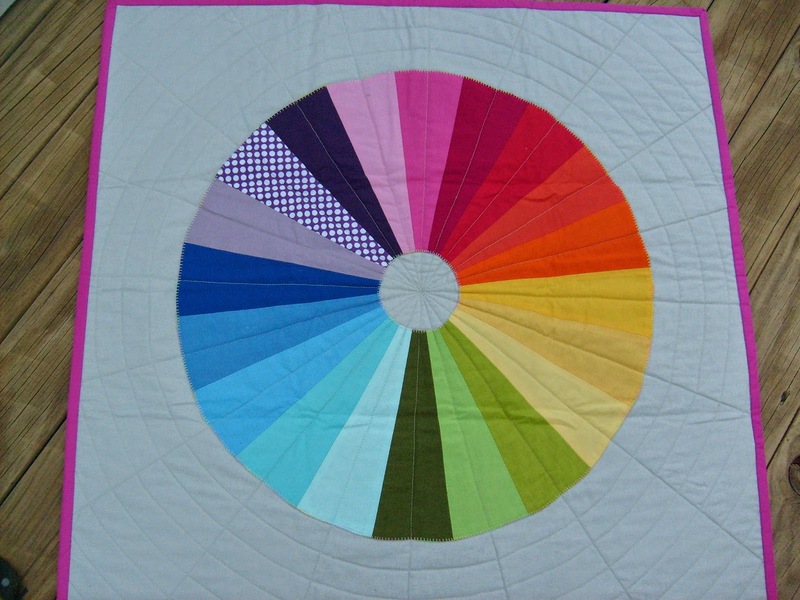 I received the most beautiful rainbow wheel mini quilt. I am so looking forward to cleaning up my sewing room and hanging this on that lovely blank wall . Thanks so much Janine for a lovely swap. 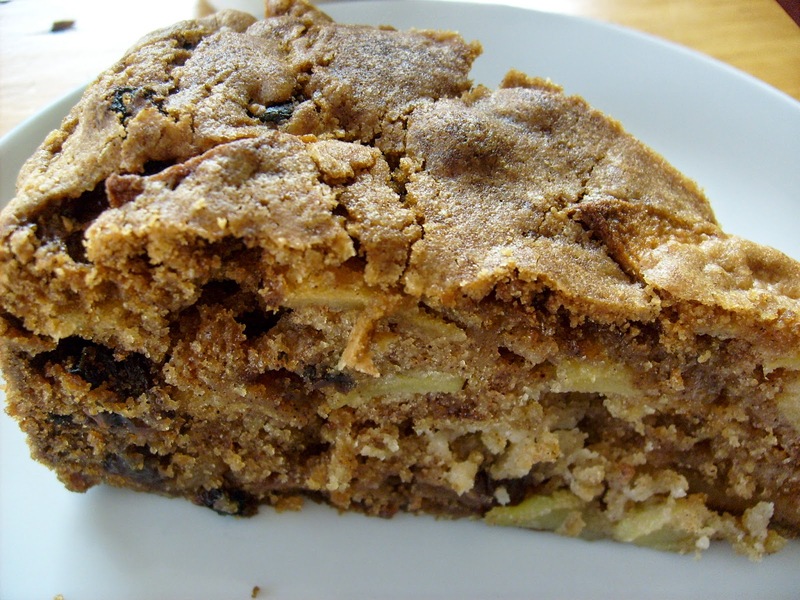 An absolutely deliciously moreish apple cake. 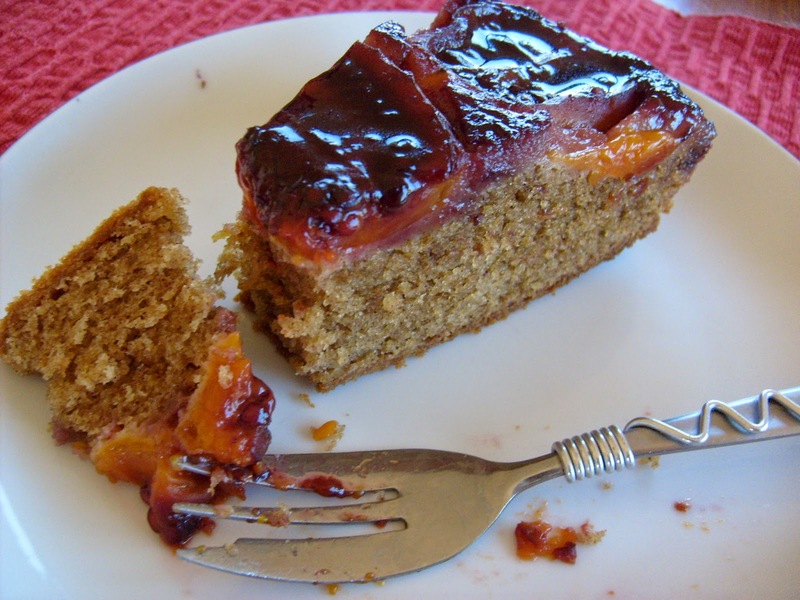 Slightly caramelly, chewy on the top and sides, deliciously moist and flavoursome. A new family favourite. 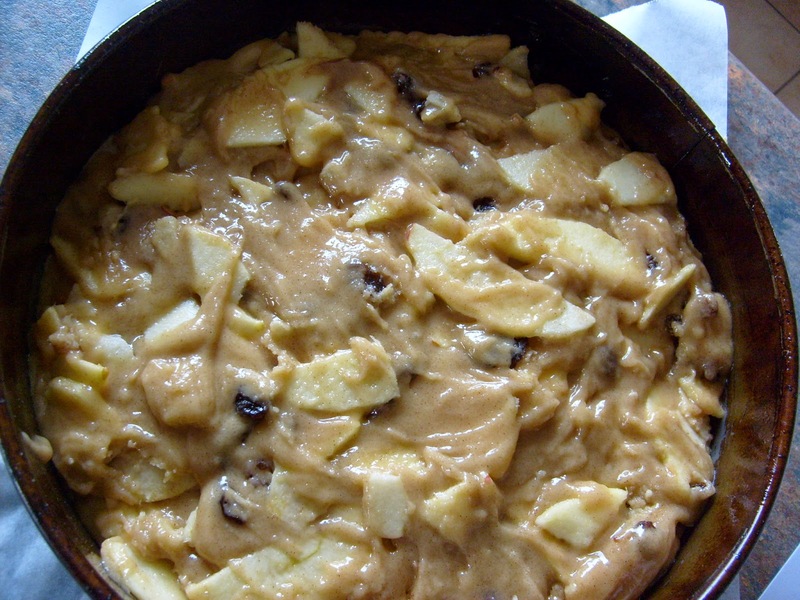 Annabel Langebin's One Pot Spiced Apple Cake. It's meant to keep well too, if it lasts that long. Queen's Birthday Weekend means a long weekend here. 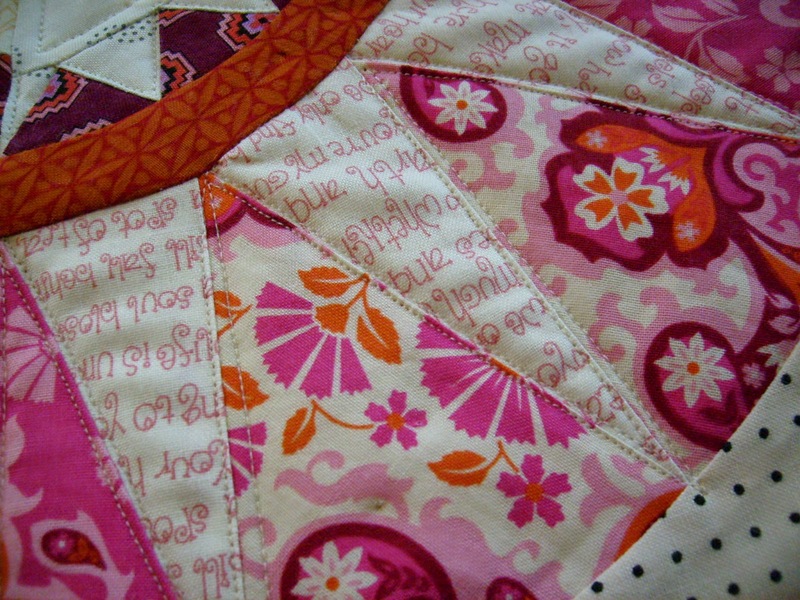 With the house to myself, I had three days of sewing, reading, cooking and relaxing planned. Needless to say plans have a way of changing. I got rung up on Saturday morning and asked if I could work, because they were three people short. So I ended up with a two day weekend anyway. I have still managed to do all that I planned, just not the quantity of sewing I wanted to. 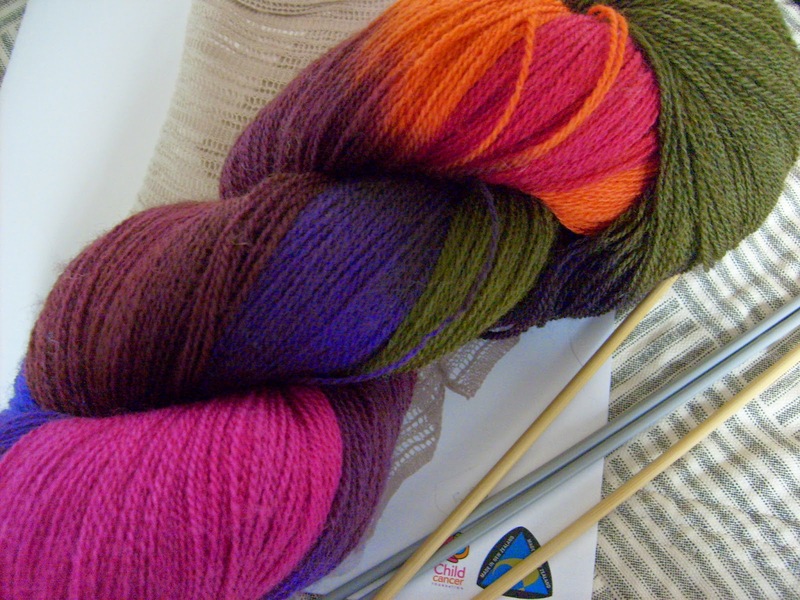 I purchased a skein of 2 ply merino wool for a shawl/scarf type thing, what a mission, winding it into balls. 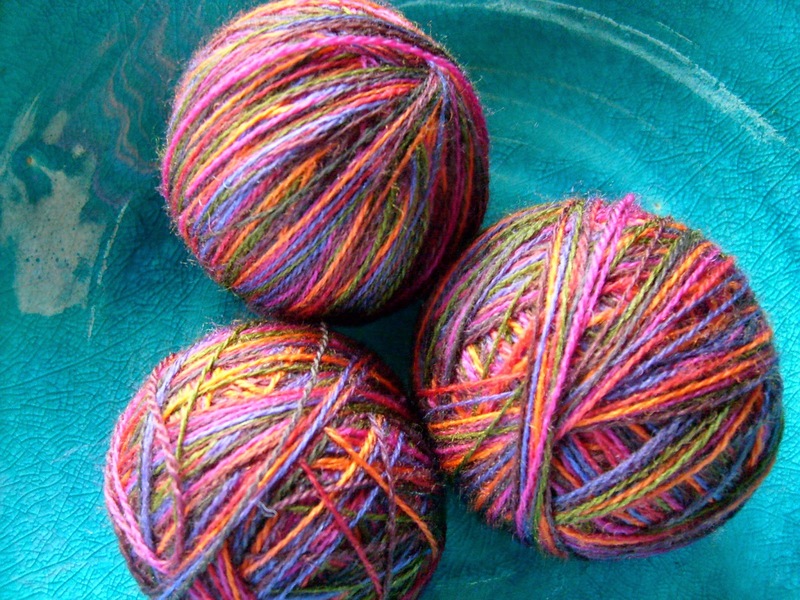 I ended up with three balls after a few small tangles mid way through. Love the colours of it though. Fresh parsley, rocket and spinach from the garden, waiting to be used in a Barley and Roast butternut salad for Sundays dinner. Some more sewing on my Warm Wishes swap project - I have completed the exterior and all the interior compartments, now just working out how to get the binding and zip on. Wish me luck. Hoping you all had a lovely weekend too.